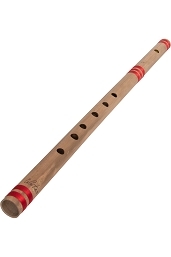 banjira 29.5 Inch Bansuri Flute Bamboo 7 Hole Key E. Bansuri flutes are hand crafted from bamboo. As a result, there may be some bending of the cane so that they are not perfectly straight. If you require a very straight bansuri flute, our deluxe models are the most straight, and also cost a bit more. Bansuri flute in E, approximately 29.5 inches to 30 inches in length. The Bansuri has a mouthpiece that is played in a similar way as the western transverse flute. It is made from a single piece of bamboo with seven holes. 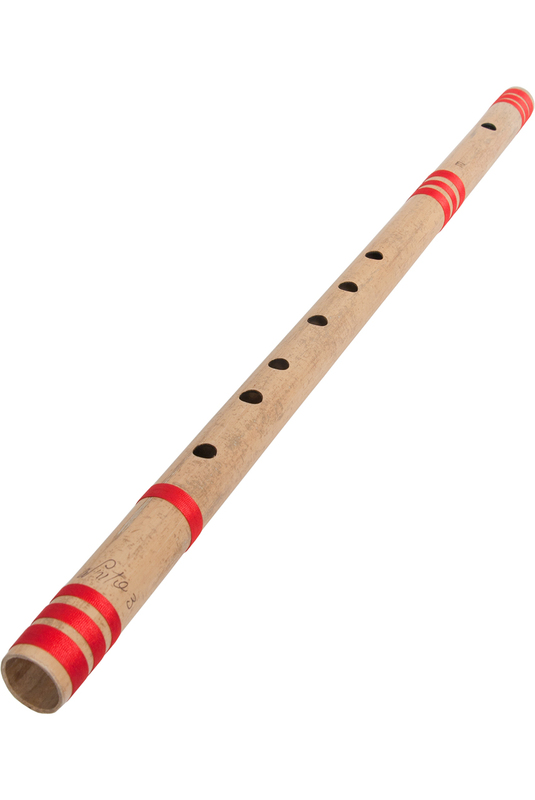 The pitch indicated for the bansuri means the flute will play that pitch with the first 3 holes covered. The dominate hand plays the lower three holes. The seventh hole is optional and rarely played. Its main purpose is to give greater accuracy in the upper octaves. It may be played on the rare occasion when you need to play the Ni in the lower octave.